Id3 Technologies receives the Star Award for the best French exporting SME in Colombia as well as the Great Cross of the Columbian Board of Public Notaries (UCNC) and the Golden Cross from the Union of South American Notaries. 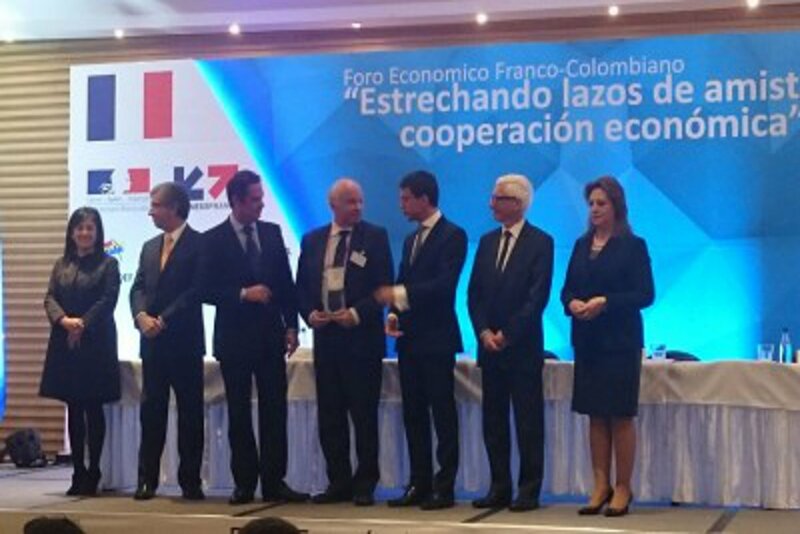 Whilst on an official assignment in Colombia, the French Prime Minister Mr. Manual Vals was present when Mr. German Vargas Lleras, Vice-President of the Colombian Republic, awarded the Star Award, assigned by the French-Colombian Chamber of Commerce, to Mr. Jean Louis Revol, President of id3 Technologies, for being the best French exporting SME in Colombia. This award proves the technical and commercial dynamics of the Isère-based SME, notably through using a new biometric identification and online authentication solution intended for Colombian public notaries. During his visit to Bogota, Mr. Jean Louis Revol was also decorated by Doctor Alvaro Rojas Charry with the Great Cross of the Colombian Board of Public Notaries and the Golden Cross of the Union of South American Notaries in recognition of his integrity, his commitment and his unfailing support for the modernization and protection of the Colombian Notarial system. Mr. Alvarro Rojas Charry is President of the Colombian Board of Public Notaries and of the Union of South American Notaries.